Blount Boats, Warren, R.I., has signed a contract with the New York Power Authority (NYPA) to construct an ice-breaking, all-welded-steel, double-screw tug to operate in seasonal ice near the entrance and with the upper Niagara River. The vessel will replace existing boats in the NYPA fleet currently used for the installation, removal and maintenance of the Lake Erie Ice Boom and various associated marine construction projects. The vessel was designed by Bristol Harbor Group, which will also provide technical oversight during the fabrication process on behalf of NYPA. 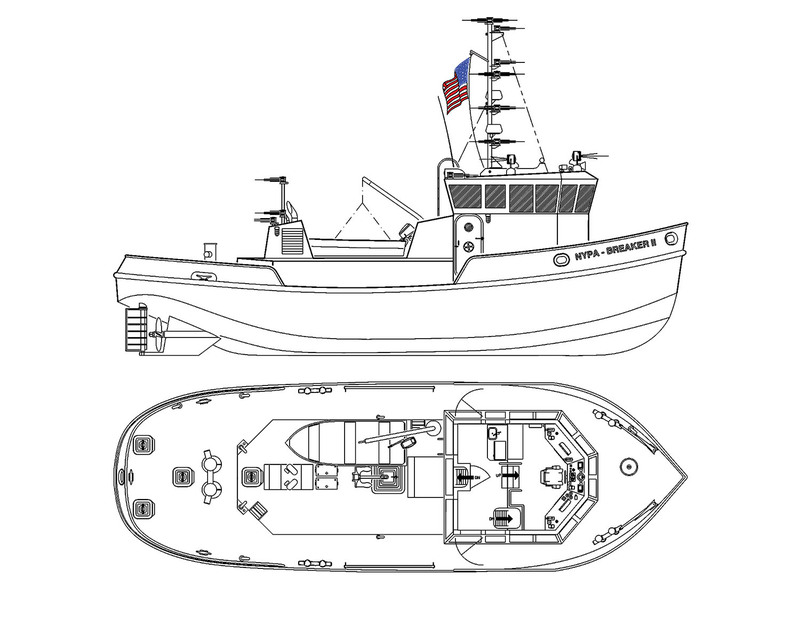 The 56- by 18-5-foot, shallow-draft tug will be powered by two Caterpillar C9 engines, each producing 375 hp. at 1,800 rpm. The tug’s hull, machinery, electrical systems and safety equipment will be Subchapter M-compliant. Caption for photo: Profile of ice-breaking tug to work in the Buffalo River and Lake Erie.